Cryokinesis is the ability to manipulate ice and cold temperatures. In technical terms, cryokinesis is the ability to lower the kinetic energy in atoms which then lowers temperatures. When wielding this power the temperatures can be lowered an extreme amount. Some other powers that are associated with cryokinesis include frigokinesis and thermokinesis. Frigokinesis is the ability to manipulate snow which is one of many aspects that one will be able to achieve when wielding the incredible powers of cryokinesis. Although frigokinesis is only the manipulation of snow, it still holds the potential to be an amazing power to practice. When you think of snow, you typically think of little snow flakes falling from the sky and big mounds of ice on the ground as far as the eye can see. Frigokinesis is not just limited to the relaxing side of snow, it can range from a little snow fall, to an avalanche if the wielders powers and strong enough to be at this point. As you can see, the power of frigokinesis is similar to cryokinesis in parts; thermokinesis is also apart of cryokinesis. Thermokinesis is the ability to control and manipulate temperature. This power can be extremely powerful depending on the wielders abilities and strengths which can also be quite dangerous if used in the wrong manner. Although thermokinesis focuses on both hot and cold temperatures, it is still very similar to cryokinesis in some parts. It is also a great example to what can be achieved when manipulating cold temperature;in this case, manipulating ice. As you should know by now, cryokinesis is based around the manipulation of ice and cold temperatures. This power can be extremely useful in every day life. Cryokinesis may seem uninteresting to some but it is in fact a really cool and interesting power to learn; it also holds the potential to be one of the strongest powers that one can wield, of course this is only if you are up to the challenge. To become great at something it takes a lot of time, patience and concentration. Once you reach the point where you can manipulate and control this power to your greatest ability, it will be fulfilling and one hundred percent worth the time and practice put into learning and performing this power. Like all powers, there are certain times when being able to perform this power come in handy; whether it is in your day to day life or if it is just on the rare occasion. There are many different uses for cryokinesis that can be helpful and beneficial for most people. An example of a day to day use for this power would be to make ice or icy poles. On hot days the best things to have are ice water and an icy pole, imagine going into the freezer to get some ice and finding that it is not yet frozen and is still in a liquid state. If this were to happen there would be need to fret if you are a wielder of cryokinesis as you will be able to make instant ice; thus being refreshed and hydrated without having to wait hours for the water to freeze. Another example for when cryokinesis would be useful is if your freezer were to break down and stop working. Most foods that go into a freezer will go off if not tended to and frozen, cryokinesis would come in handy as a wielder would be able to keep the products frozen for long periods of time while waiting for their freezer to be replaced/fixed. Anyone that has lived or visited a very hot and humid place will know the struggle of cooling down, especially if you do not have an air conditioner. By using cryokinesis one will have the ability to cool their body temperature down to something more comfortable for the climate or if one does not wish to use this power to manipulate body temperature they will be able to cool themselves down with a few different options. This can include manipulating the air around them to turn to a light snow or creating ice to make an ice bath. Along with every power there are a variety of different strengths and limitations. 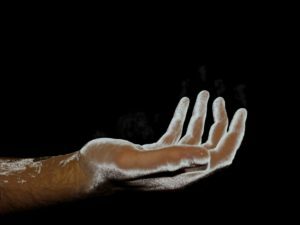 With some of the strengths involved with practicing cryokinesis, they may seem similar to the strengths of powers such as thermokinesis; this is because of the similar focus of the powers, in some parts. As well as most powers, range is one of the most common limitations you will come across. When performing/practicing cryokinesis you will always have to take into account the range of an object or body of water. For the best results when using your power one should be in a close proximity to what they are practicing on. It becomes harder and more unstable the further away you get from the thing you plan to manipulate. The range to which the power can be performed with ease various amongst everyone; it depends on the wielders strength, skills and the amount of practice one has put aside to learn cryokinesis. Another thing to take into account would be a persons mentally capacity; manipulating ice takes a lot of concentration and can be hard to do if your head is not in the right place. Now that we have gone through the limitations of this power, lets go through some of the strengths involved in using cryokinesis. When first starting out with this power it is best to focus on manipulating small amounts of water at a time as this will be more beneficial for the lead up into bigger bodies of water. Once the wielder is more competent and has gained more experience performing cryokinesis this is when the strengths of this power really start to show. Each person is different and will have different strengths than other wielders but this does not make you any less powerful. So far, the strongest force that one person can wield is an avalanche. 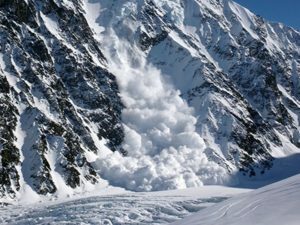 To get to this stage of power would take years of practice, not many people have attempted or succeeded in their quest to create an avalanche. Although this is the strongest force one can reckon with does not mean it is what to strive towards; your goal on what you would like to achieve while practicing cryokinesis should be something that you truly believe you can achieve. Overall, cryokinesis is an extremely powerful if used in the correct way. If you are truly interested in learning a power I suggest trying out cryokinesis as it would be very useful and an intriguing power to master.